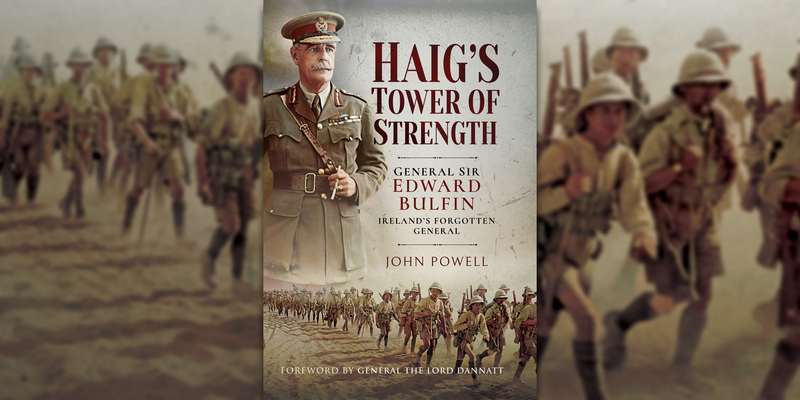 Meet the author John Powell who will be signing copies of his new book, 'Haig's Tower of Strength', a biography of General Sir Edward Bulfin. General Sir Edward Bulfin was one of the few Irish Catholics to rise to the rank of full general in the British Army. He first made his name as a fighting soldier during the First Battle of Ypres, where he was seriously wounded. Field Marshal Sir Douglas Haig, who commanded the British Expeditionary Force on the Western Front, called him his 'tower of strength'. He finished the war commanding a corps under General Sir Edmund Allenby through his dazzling mobile victories in Palestine and beyond. John Powell's biography is the first book to cover the life and career of Edward Bulfin, a private man who left few letters and no papers, except a diary of 1914. Using primary sources - some unearthed for the first time - Powell brings to life this little-known soldier, who made such a significant contribution to victory in the First World War. Drop in to The Shop between 11am and 1pm.